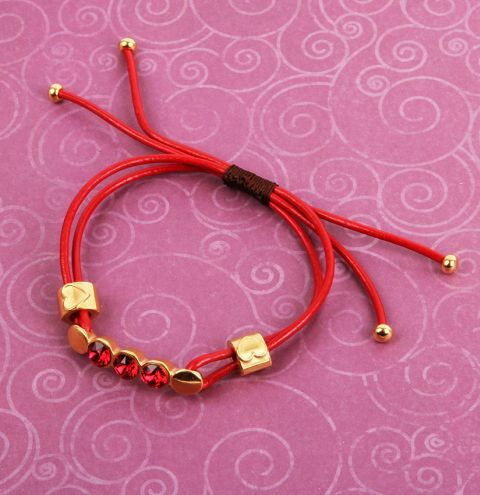 Create this Scarlet Glow Bracelet using Swarovski chaton crystals, matching leather cord and glamorous gold plated findings! Thread a large heart slider bead onto the two halves of cord threading through this hole. This will bring them together.